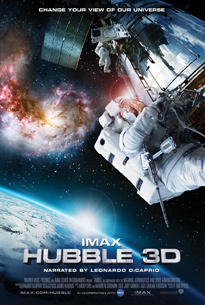 IMAX Hubble is a must see film!! This past weekend we ventured to the Minnesota Science Museum and took in the new Hubble film on the IMAX screen and we were totally blown away. It is spectacularly filmed and has computer simulations of flying through space that completely exceeded our expectations. 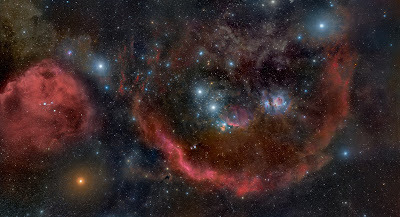 Imagine seeing a typical image of Orion and then zooming in a bit on the sword and seeing the great Orion Nebula. Very cool, but wait, now we will begin flying through space and seeing all the stars in this familiar constellation shift as our angle of view alters their apparent position. Then, as our flight continues we descend into the midst of the nebula through layers of gas until we see, at the heart of the nebula, the Trapezium. This stellar nursery sits just an arms length away and the view almost brought tears to my eyes! How often have I sat at the eyepiece of one of my scopes and dreamed of traveling this way to see all the gems of our Universe? The few minutes of this simulation were totally worth the price of admission for me. The film gives some good background info necessary to acquaint the public with the importance of the work the space telescope has performed, and also has some nice footage of the various servicing missions along with some candid footage of the astronauts. The entire film is only 45 minutes long and I would have sat there gladly for another two hours, but the length was perfect for the children viewing it. Well what a fun and interesting event we just enjoyed! Dr. Alan Harris of the Boulder, CO Space Science Institute gave a fascinating presentation on near earth objects (asteroids), their detection, their statistical probabilities of collision with earth, and the future of NASA's detection program. The teleconference worked by having the Night Sky Network ECMAC coordinator (aka me) call in and log into the program and then we simply sat back and enjoyed the previously downloaded Powerpoint presentation while listening to the VERY knowledgeable speaker. 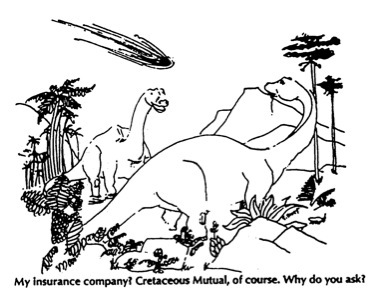 The topic of neo's was meant to tie-in with the NSN's latest educational giveaway, the space rock toolkit. This type of event occurs bi-monthly, and now that we have the first one under our belt, we will be heavily promoting the next event so that as many folks as possible can enjoy the high quality of the presentation. Thank you to the good folks running the Night Sky Network!! You are truly committed to excellence in the field of outreach and education. ECMAC is now officially part of the Astronomical Society of the Pacific's Night Sky Network. As one of the many benefits to our club, we now have a viewable calendar on the bottom of the blog page that will show the current month at a glance. Scheduled club events will be viewable, and by clicking on the event, a new window will open to the Night Sky Network's site where more detailed information will be displayed. This absolutely breathtaking view of Orion is, for me, one of the most wondrous astrophotos I have ever beheld. The absolute clarity of all the nebulous detail is truly stagerring, and given the size of the wide-field image, this is a sight I never could have drempt of. It is because of the hard working professional and amateur astro-photographers that I personally became interested in astronomy, and with more images like this to compel me, the flame of my astro-passion is likely to burn intensely for a lifetime. Nov. 6th Star Party Tonight!! 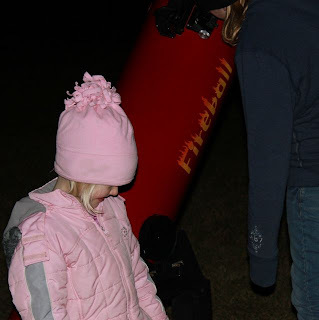 Join us tonight at 6:30 for the November Public Star Party at the Jaycee's Ball Park on N. Grove in Mora. The weather looks like it should be mostly clear so we hope to get some great views! UPDATE: The party was great with clear skies, balmy temps, and enthusiastic learners. Two novice adult members showed their observing prowess by finding objects using a Telrad for the first time, while the kids worked diligently to earn their "First Observation Club" qualifications. The evening was thoroughly enjoyable, and we are looking forward to our next event on Dec 4th! Dec 4th Star Party is a go! Come out and join the ECMAC group for a star party Dec 4th at the Jaycee's Ball Park on North Grove St. in Mora! We will be providing great views of the skies from this moderately dark site. We expect some cool temps so please dress warmly so that you can comfortably enjoy the evening with us. The event time will be determined soon.